We are recognized as the prominent manufacturer and supplier of a wide array of SS Hospital Dustbin. Our offered SS Hospital Dustbin is manufactured by the skilled professionals in line with set industry standards using the qualitative stainless steel and advanced technology. It is available in various sizes as per the client’s requirements. 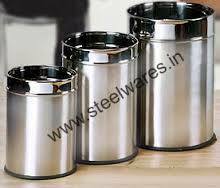 We manufacture Stainless Steel Push Bin in various designs and sizes. Please contact us for further details and placing order. 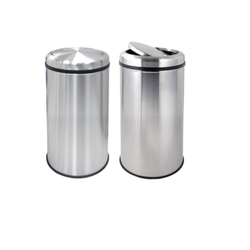 We are a supplier of stainless steel garbage bin. We offer to our honored patrons the first-class range of SS Perforated Pedal Bins.